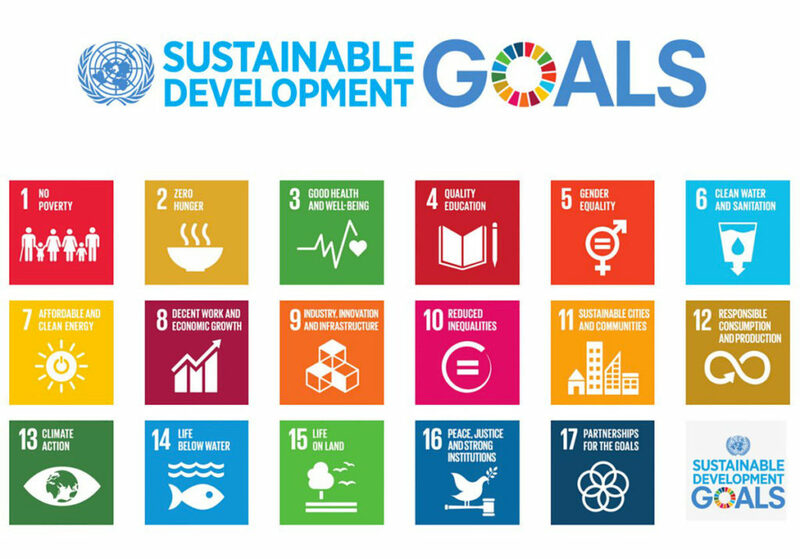 For those who doubt the impact of global targets, you only need to look at how funds and policy attention were directed towards the Millennium Development Goals (MDGs) focus areas to see the potential impact these targets can have in terms of policy making, funding and service delivery. Palliative care is a cross-cutting issue, many palliative care developments were supported under MDG 6, in relation to mitigating the impact of HIV. As we move into a new era, palliative care cuts across many SDG health targets, but it is particularly relevant to Universal Health Coverage (UHC). The attention to UHC is mounting at all levels and it is not just about policy. Look at the increased focus on the International Health Partnership which is being revamped to look at how UHC will be funded. So, the question is, are palliative care advocates, researchers and practitioners in a position to maximise the opportunities to get universal coverage of palliative care and do they know what this would look like? There are few people who would not agree that they want palliative care available to all those who need it, without putting households into financial hardship. We want to see the end of avoidable and unnecessary pain and hardships caused by life-limiting illness – whether these are physical, psychosocial, emotional, spiritual OR – critically in this debate – financial. But how will this be achieved and what is needed? If we are to persuade policy makers about the need to invest in palliative care services we need strong evidence to support our case. Where are the coverage gaps at present both in terms of people not receiving good quality palliative care and/or experiencing financial hardship in accessing services? 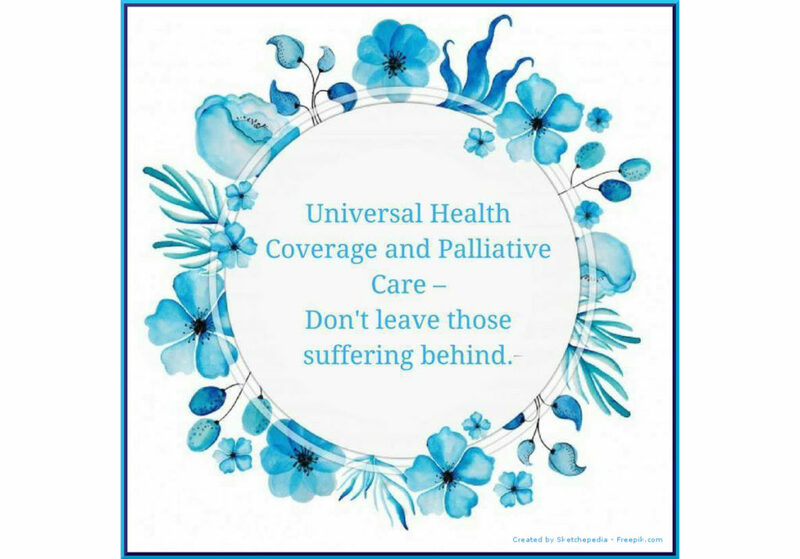 Where and how is palliative care currently included in Universal Health Coverage plans? 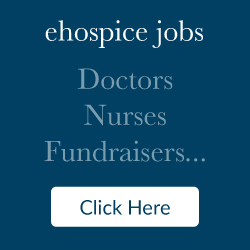 What should be in an essential package of palliative care? How much does it cost to provide palliative care? What is the cost implication of not providing palliative care? 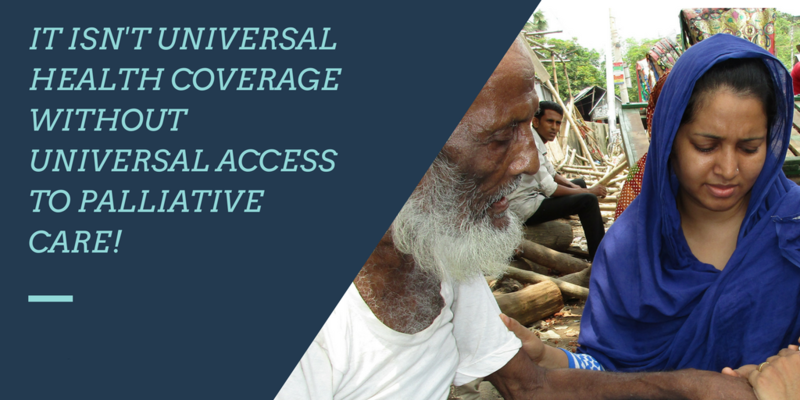 What is the impact on households of palliative care being included in UHC schemes? What is the impact of only including one aspect of palliative care into a UHC scheme e.g. palliative care for certain cancers but not other conditions? To what extent are civil society organisations currently providing free palliative care services and is this sustainable? What political factors should be taken into account when promoting palliative care services within a UHC service package? Palliative care advocates, researchers and practitioners at all levels need to be on top of the UHC debate and understand how and where palliative care fits in and how they can contribute to moving the agenda forward. In addition, those working on overall UHC strategies need to recognise the particular issues relating to palliative care and work together to address them. Understanding, education and awareness-raising are critical. As countries look to implement all-encompassing UHC reforms and allocate large sums of public financing, it is critical that those working in palliative care develop strong, collaborative partnership across sectors and issues. A clear and very particular issue is around monitoring and evaluation. As WHO and its member states propose indicators on monitoring UHC as part of the SDGs, there is no inclusion of a palliative care indicator. This poses a major threat to the palliative care agenda receiving sufficient political commitment and public financing. The indicators civil society have proposed in the past to measure palliative care coverage within UHC have not been accepted for various, largely valid, reasons. This is partly because of the shortage of palliative care indicators which are tested, measured and fully described. But, also, because there are not currently palliative care indicators and routine data collection. The WHO Indicator and Measurement Registry now has three indicators relating to palliative care (and NCDs) but the extent to which they are routinely measured or utilised is unclear. 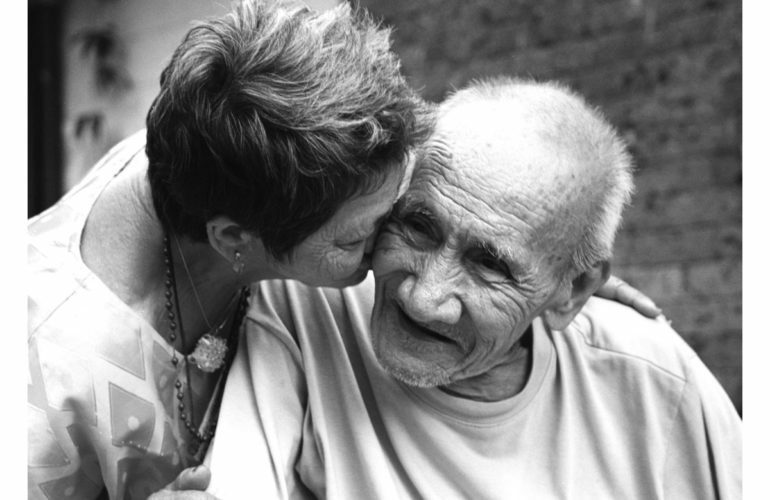 The Demographic and Health Surveys Program (DHS) has no data collection on palliative care. Therefore, any additional palliative care data collection or indicators proposed at the global level are adding an additional burden to already overburdened national governments’ systems. Nobody wants additional data burdens on countries, but, at the same time, this needs to be measured, and it needs to be done. So, what is the solution? We need evaluated test projects and pilots. What is the impact on people living with life-limiting illness? What is the impact on households? What is the impact on quality of life? What is the impact on the health system? What projects can we do and test to get palliative care included into UHC coverage schemes? Discussions are taking place at the global level on when and how UHC will be delivered but the real frontline for UHC reforms is what happens at the country level. It is the health and finance ministries and politicians that will be working out what Universal Health Coverage means for their country – and each country will be different. Take a look at the different extent to which palliative care is or is not included in countries which have or are progressing to UHC and the challenges in accessing that information. Thailand for instance is recognised as a UHC success story and palliative care for end stage patients has earmarked budget within the Universal Coverage Scheme. While in Mexico, Human Rights Watch identified two challenges with the availability and accessibility of palliative care as a component of UHC. One challenge was the inclusion of appropriate and needed palliative care entitlements under the insurance packages – it was only partially included. The second challenge was the actual availability of hospice and palliative care services through hospitals, clinics and in the home in the networks of insurers,. National and local level evidence, information and advocacy is going to be absolutely critical to move forward this agenda. Governments have a responsibility to ensure access to essential healthcare services for their populations, including the poorest and most vulnerable, without households suffering financial hardship. Palliative care is recognised as an essential and basic healthcare service within UHC. When governments plan their UHC strategies, a basic package of palliative care must be included as a critical and essential service with a mechanism for measuring coverage. Whilst it is government’s responsibility, if palliative care advocates, researchers and practitioners at all levels do not pay the appropriate attention and commit sufficient resources to UHC as it unfolds, we are potentially doing a massive disservice to the poorest and most vulnerable who require palliative care. Palliative care is not a luxury and the holistic and comprehensive partnership approach it takes could have a huge impact on health service delivery. A collaborative programmatic approach will be required to address the current gaps at all levels and show the potential of the UHC movement to meet the palliative care needs of the poorest and most vulnerable. Rob Yates will be speaking at an event at Hospice House, London on 22 November from 12 noon – 2pm looking at the role of community based and palliative care within UHC. He will be joined by Bev Sebastian from Island Hospice and Health Care Service, Jo Ecclestone Ford from True Colours Trust and Simon Wright from Save the Children. Human Rights Watch (2014). Care when there is no cure: ensuring the right to palliative care in Mexico.